LG's LX370 brings the simple basics to the table and does them well. It may lack star power, but those needing a phone for everyday needs ought to give the LX370 a look. 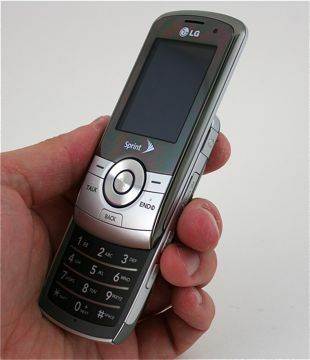 If you're looking for a run-of-the-mill handset for basic, everyday needs, the LG's LX370 for Sprint is probably going to fit the bill. It has a fair number of features and the easy-to-use Sprint OneClick user interface. It may fall flat in the thrills department, but the workhorse underneath is what's more important. Motorola's latest Android smartphone is the mid-range and highly-capable Moto Z2 Play. This winsome handset may not stay strictly true to the original, but it is compatible with all of Motorola's Moto Mods accessories and still brings plenty to the table. Samsung's mid-range Galaxy J7 finds solid footing among Boost Mobile's smartphone roster. This Android handset brings a lot to the table with a 5.5-inch screen, 13-megapixel camera, and Android 6 Marshmallow. The Plantronics BackBeat Fit 305 Bluetooth headphones promise to keep you groovin' while you're movin' during sweaty workouts. These simple earbuds cover the basics and not much else — and sometimes that's all you need. Sony's 2018 flagship phone, the Xperia XZ2, sees the company catch up to the competition in terms of design and features. It boasts a metal-and-glass chassis, introduces a 2:1 screen, adopts Android 8, pass the best processor, and includes table-stakes tools such as bokeh photography. The Sony Xperia XZ1 is one of the first smartphones to run Android 8 Oreo. It packs the latest processor and camera technology into Sony's age-old, metal-and-glass chassis. Curious... How do you pick what phones you review? For a while, it seemed like just high-end phones. But I like things like this, for the people (like my Dad) that just want a phone and no thrills.